We are back at it again!! Endurance House Orange County is hosting the next three consecutive Thursday evenings (3/24, 3/31 & 4/7). Join us for a structured bike trainer/run session with Ironman Coach Joby of Team FC. Register for the series here. Please use this link to register. We will need to limit spots. 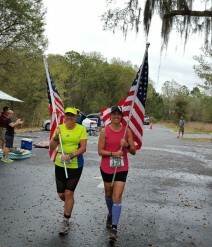 COST: Simply make a $35 donation to Challenged Athletes Foundation (CAF) in order to participate in the entire series. A link will be emailed to you upon registration. These sessions are designed to help you maximize strength on your bike as well as quick and efficient running on fatigued legs. Learning how to run well on fatigued legs is the essence of triathlon. This structured workout will improve your ability to focus and execute a great run. If you implement this foundational workout over the next 3-6 weeks, you’ll see a difference in your ability to run well off the bike. *Bring your bike trainer, bike and running shoes to Endurance House. *Have your bike set up and ready to begin the warm up at 6:30 PM. *Running will take place outside. *Workout will last 65 minutes total.